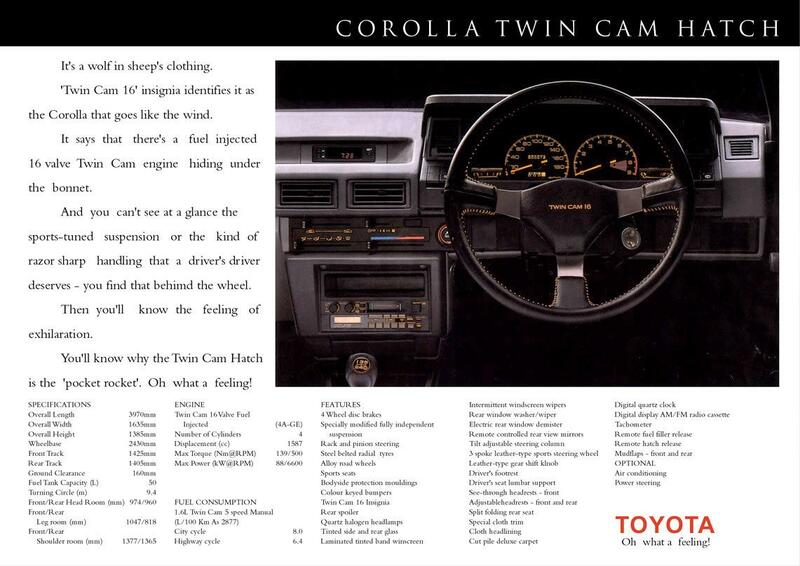 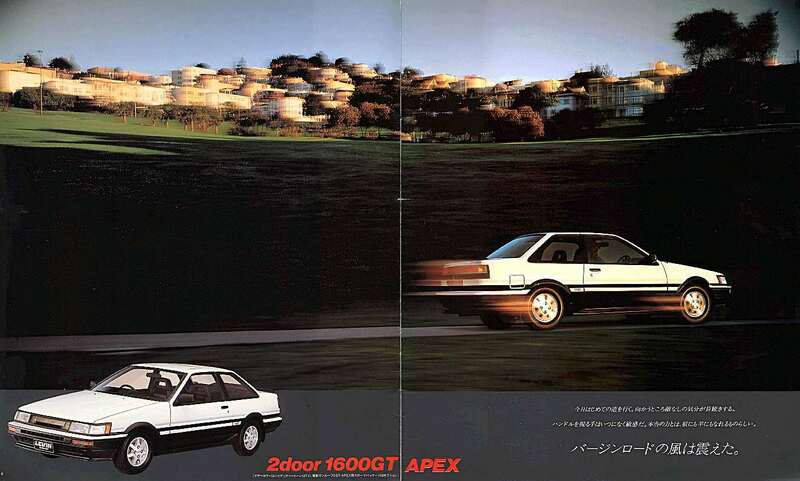 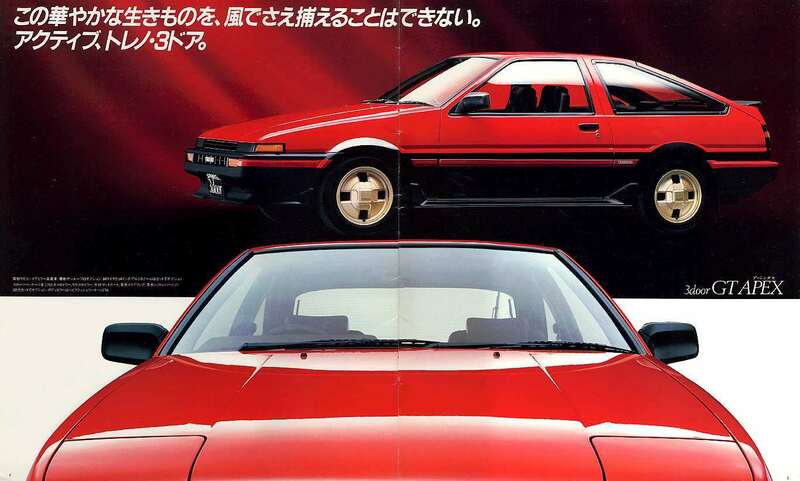 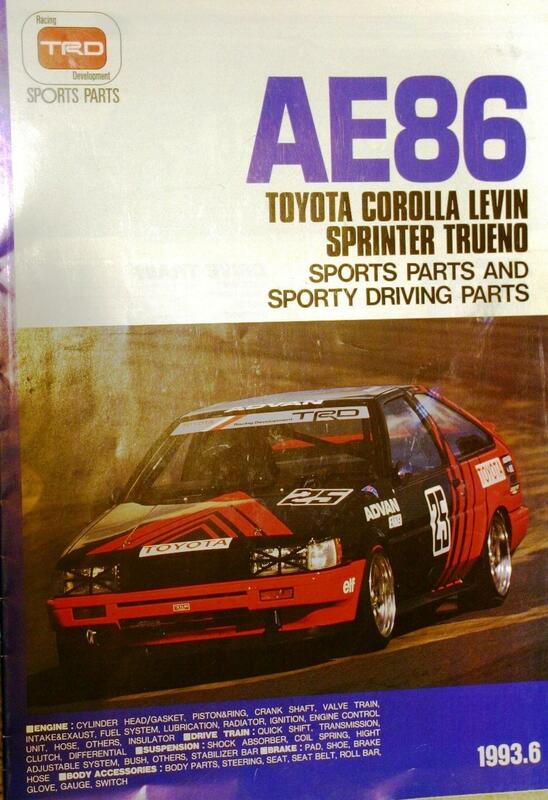 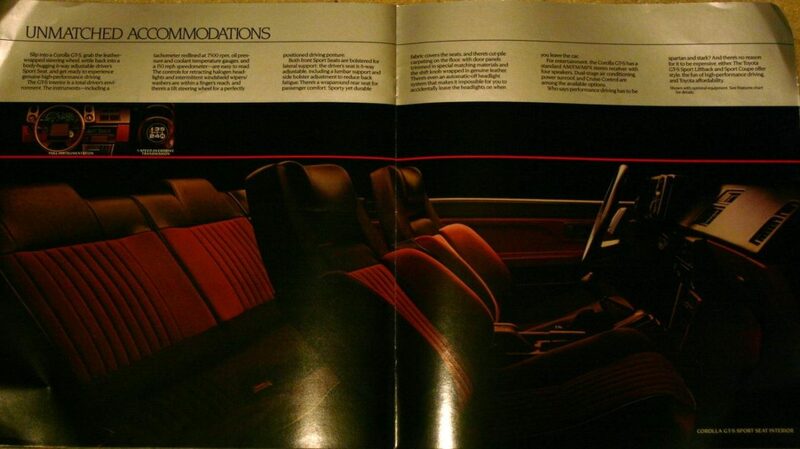 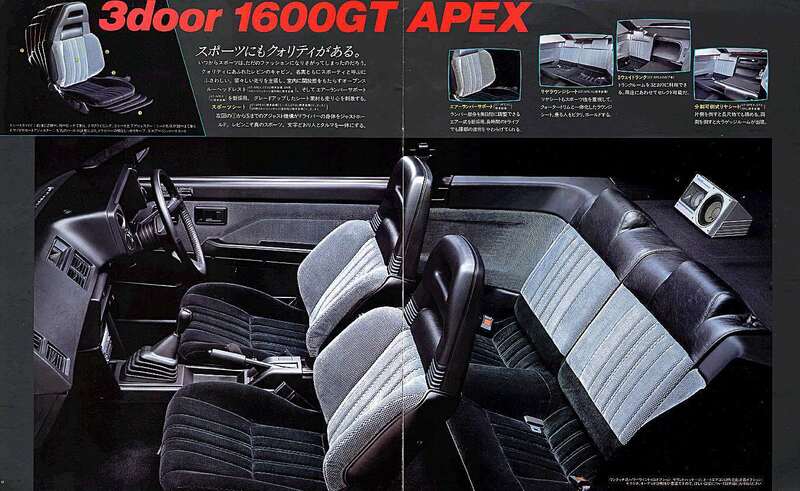 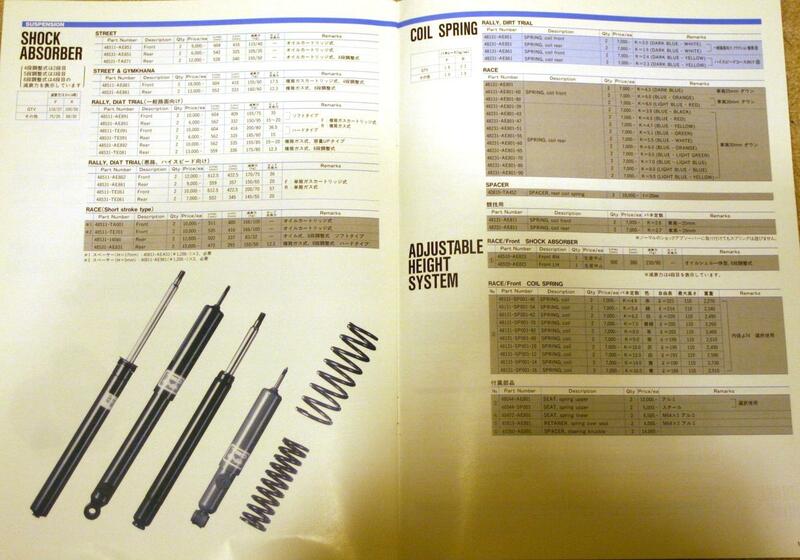 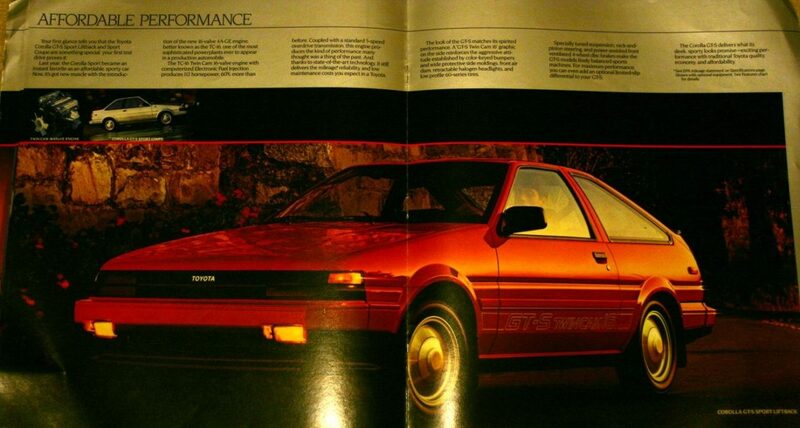 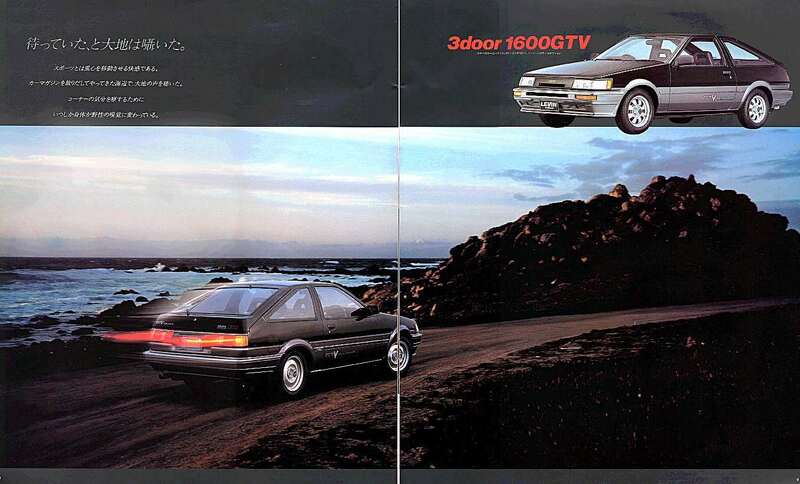 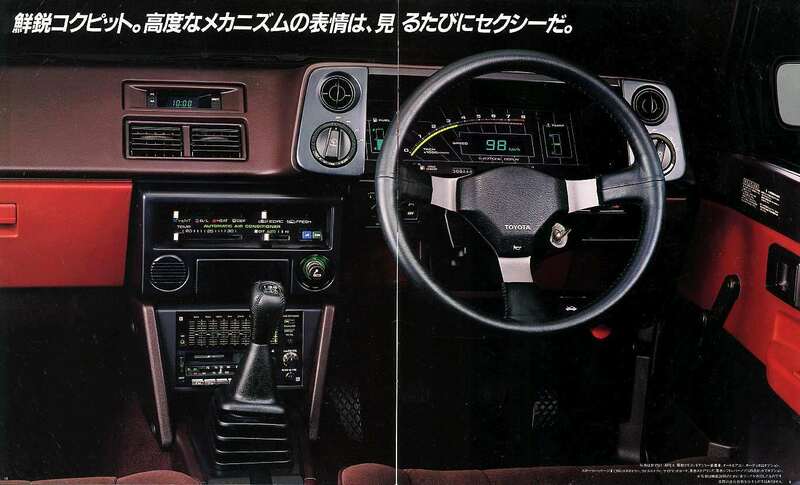 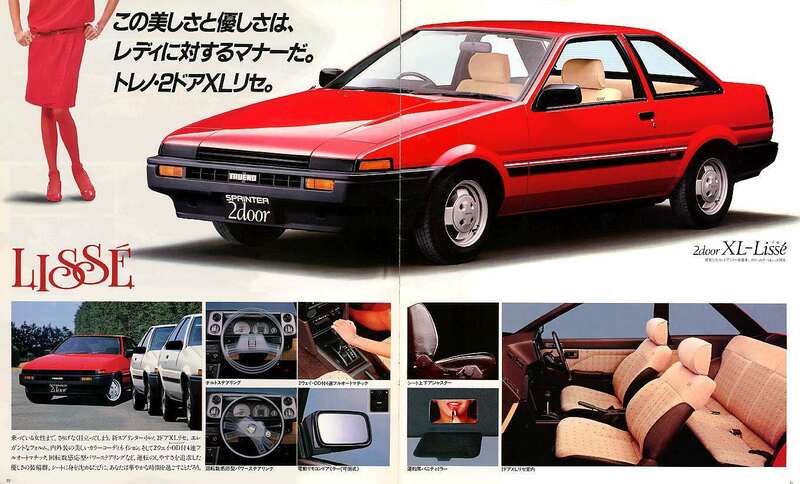 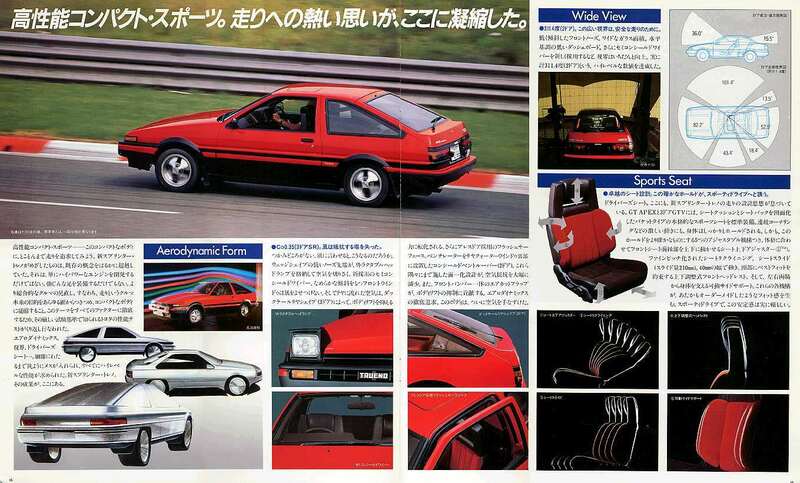 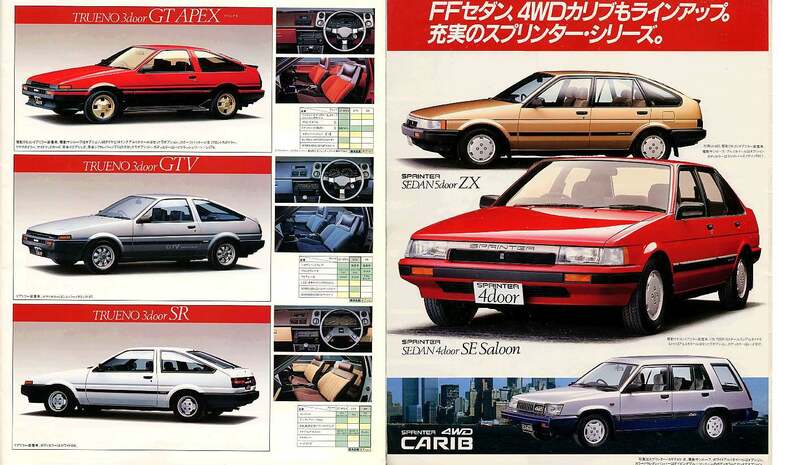 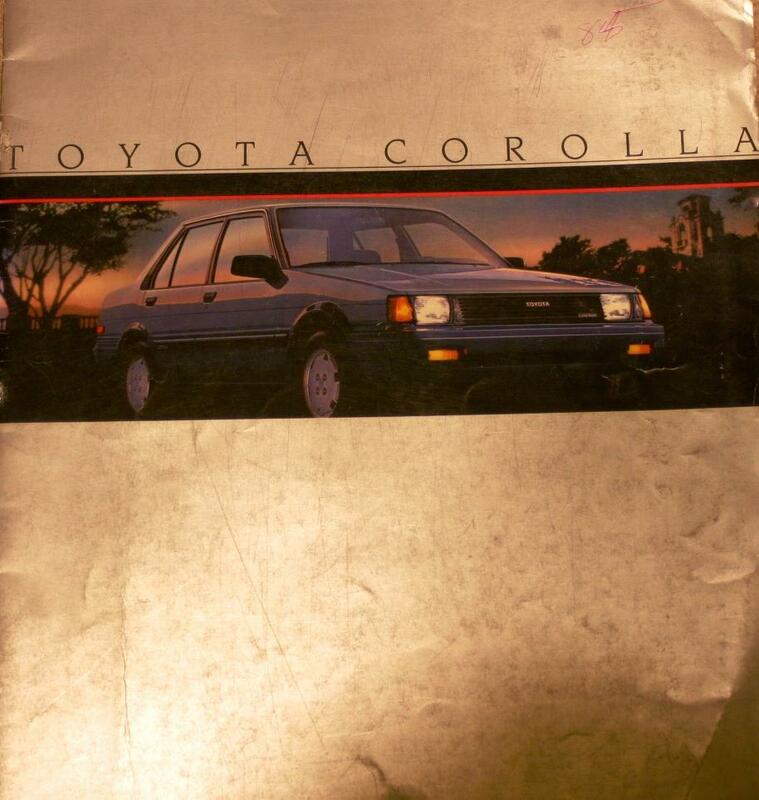 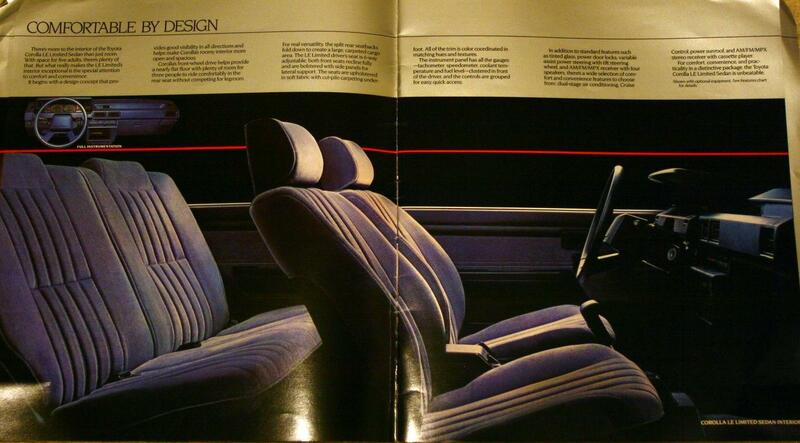 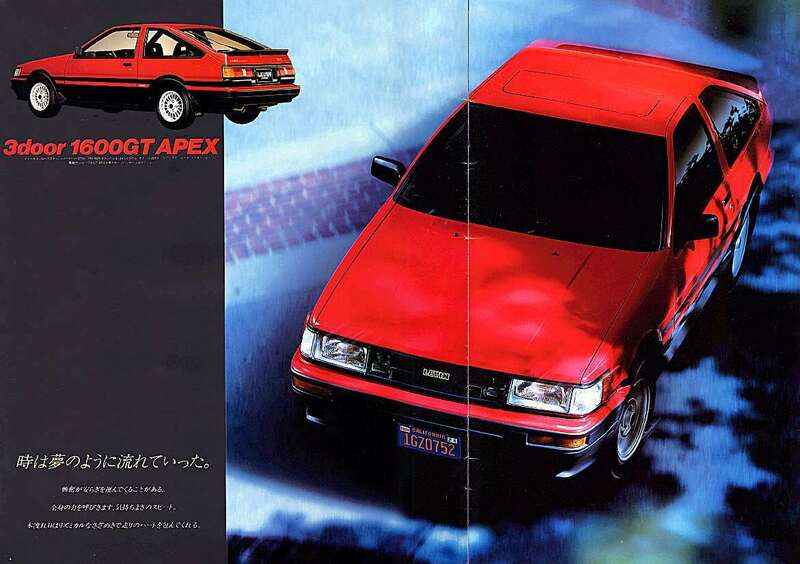 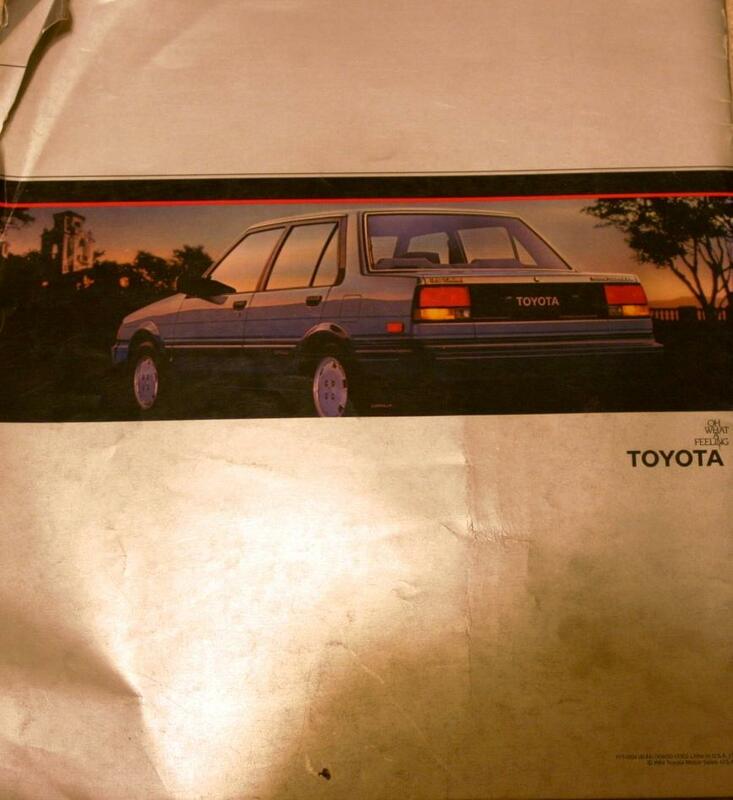 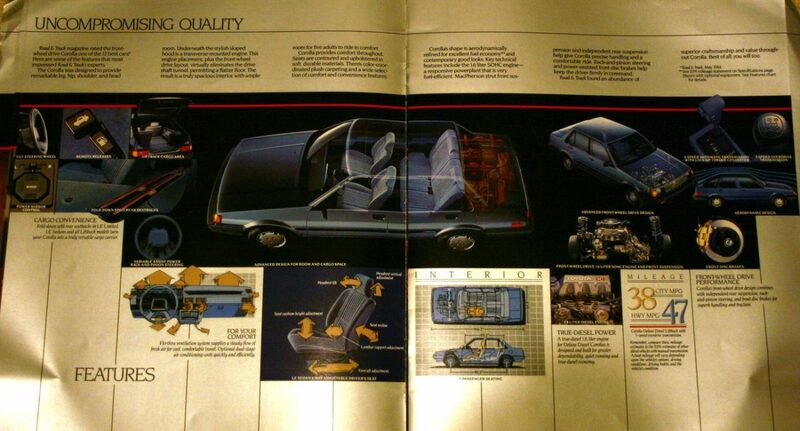 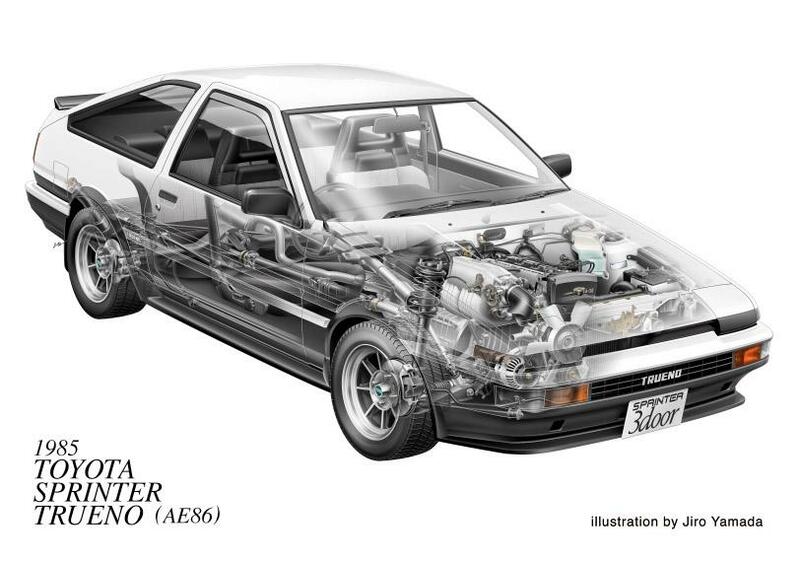 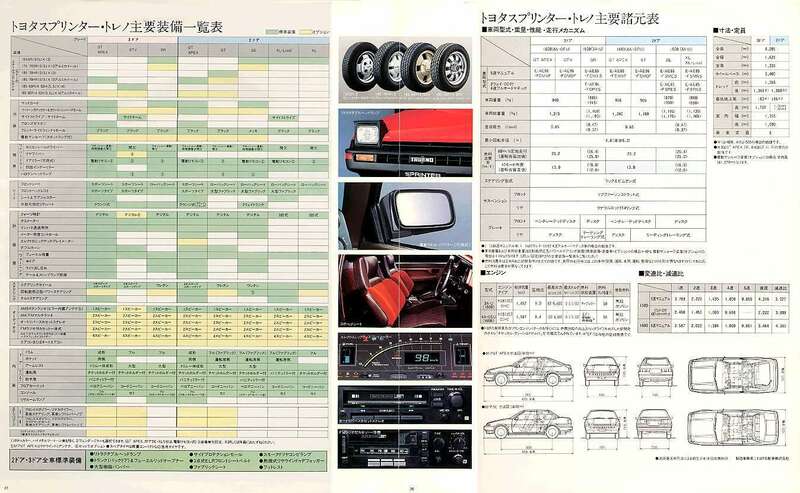 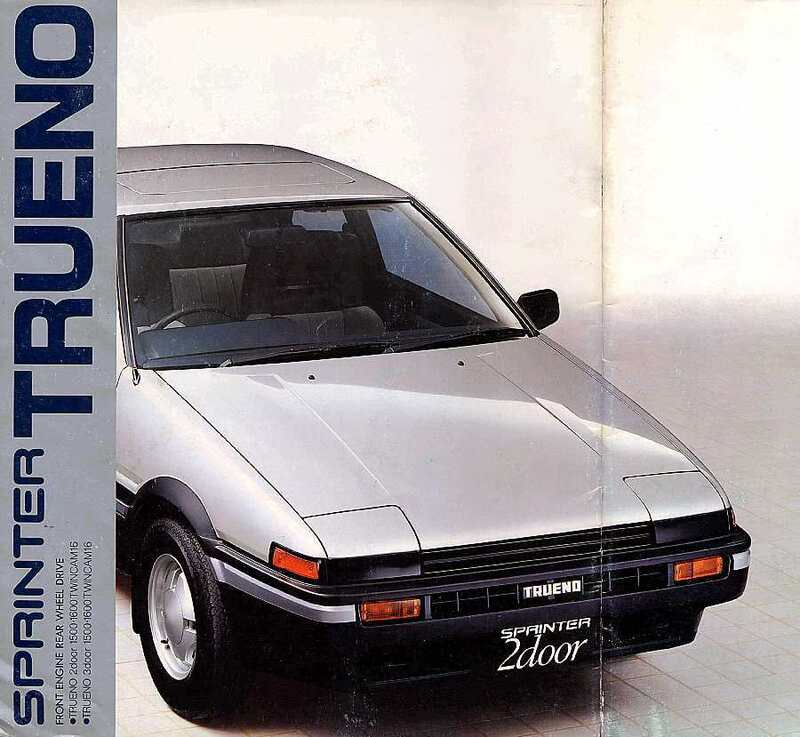 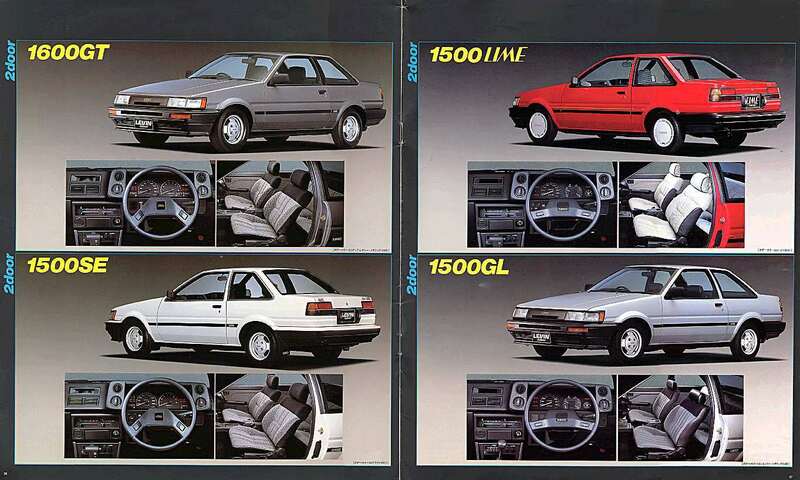 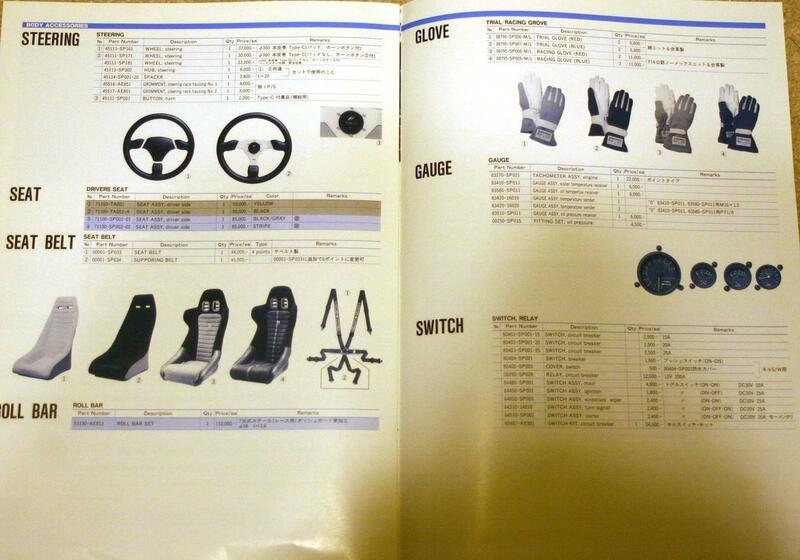 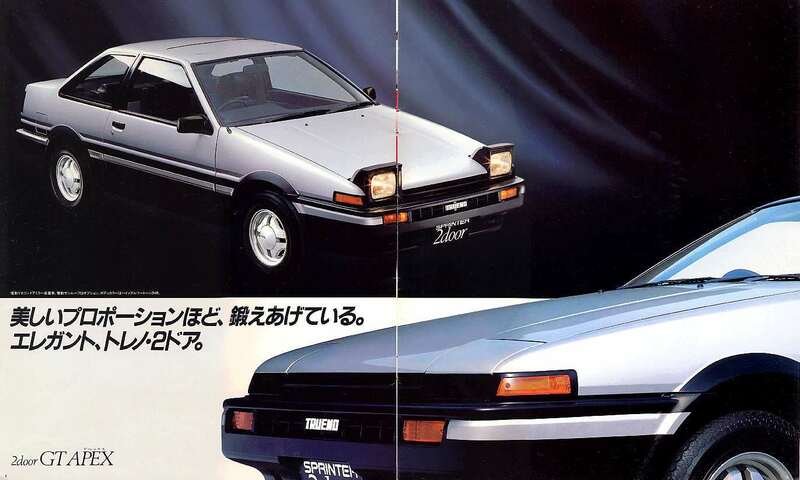 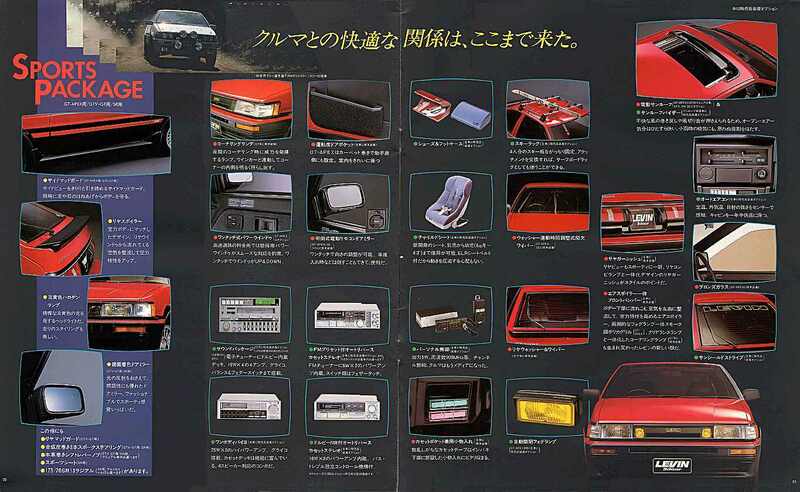 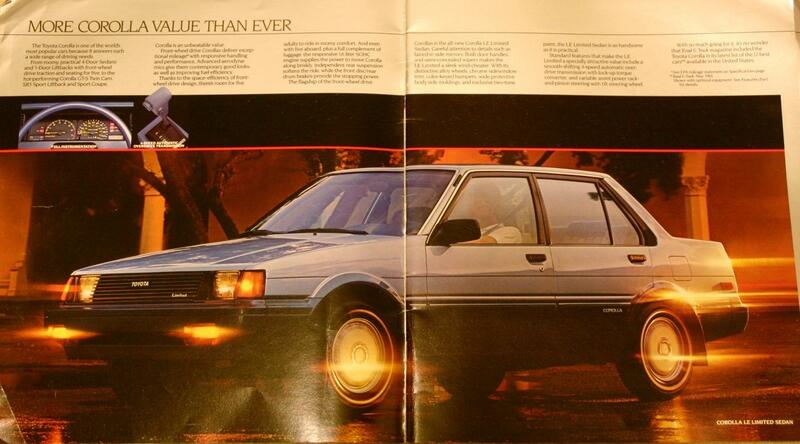 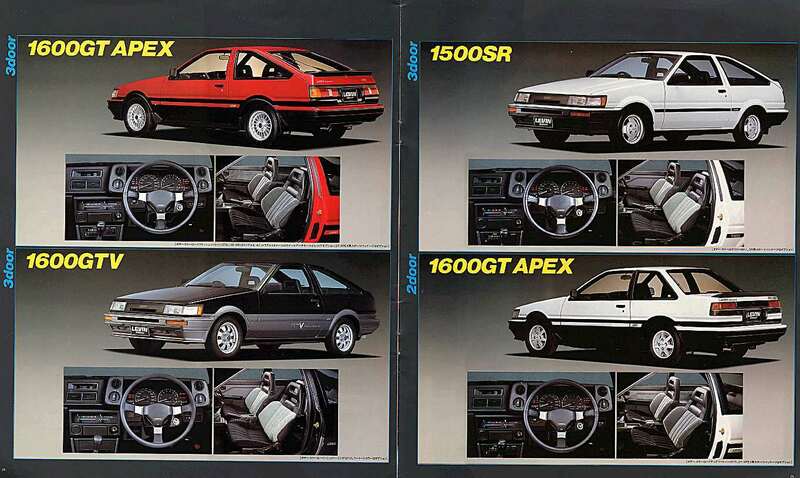 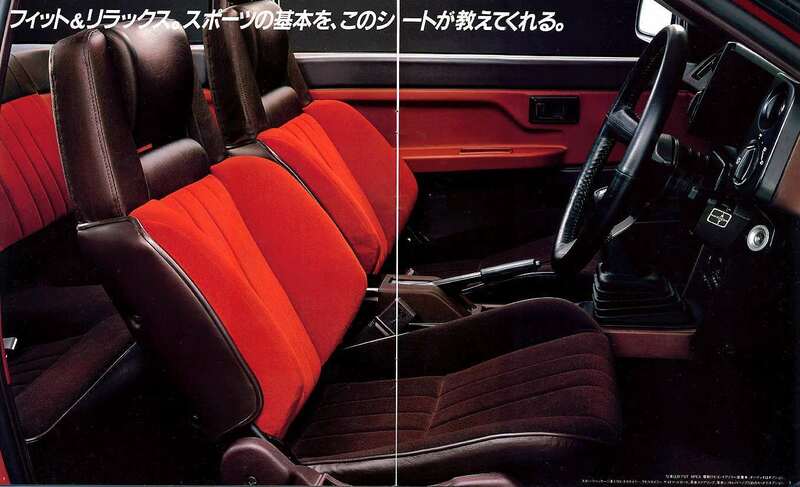 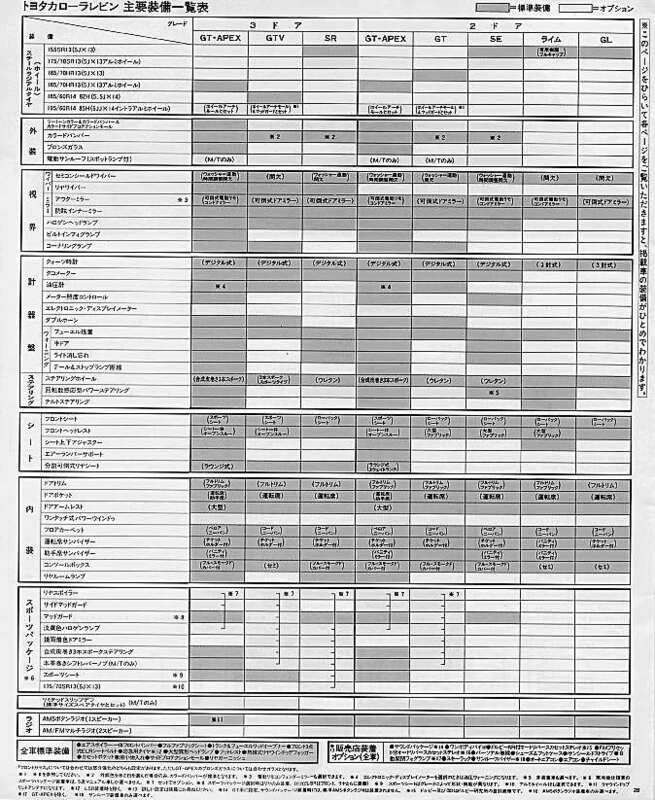 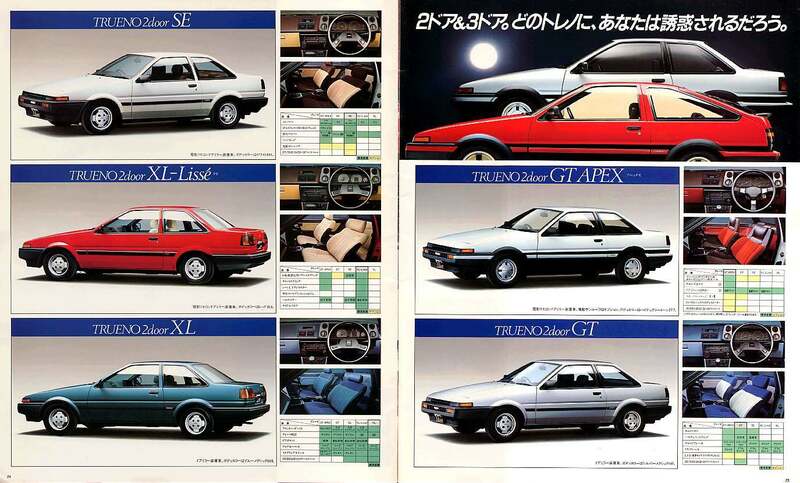 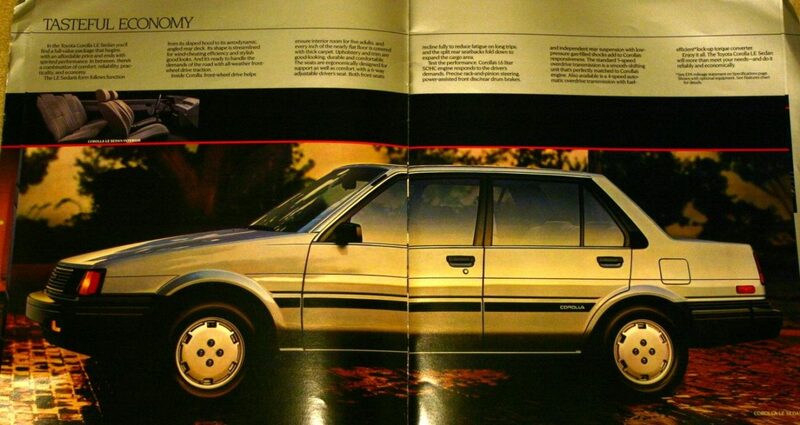 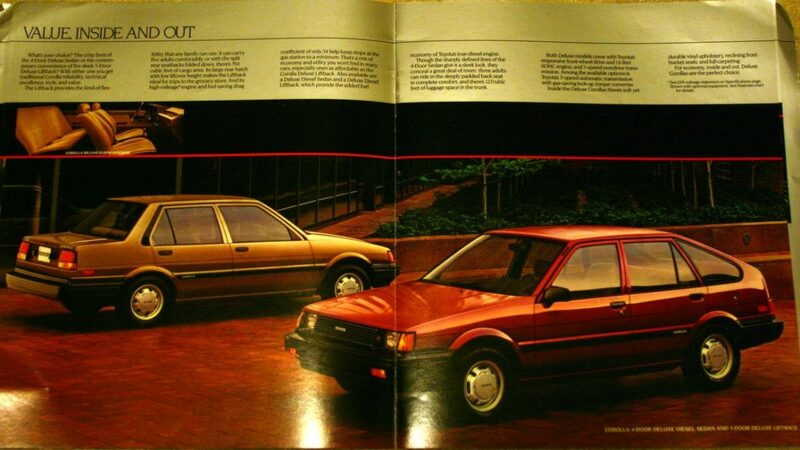 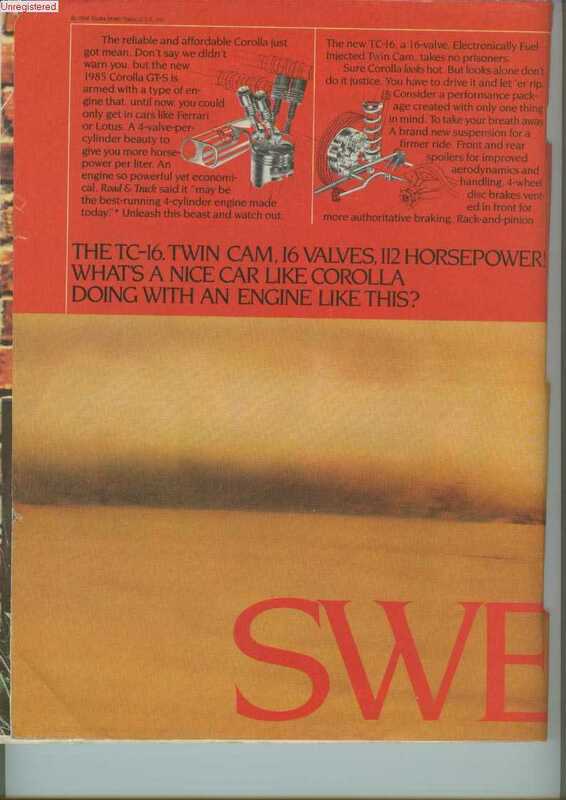 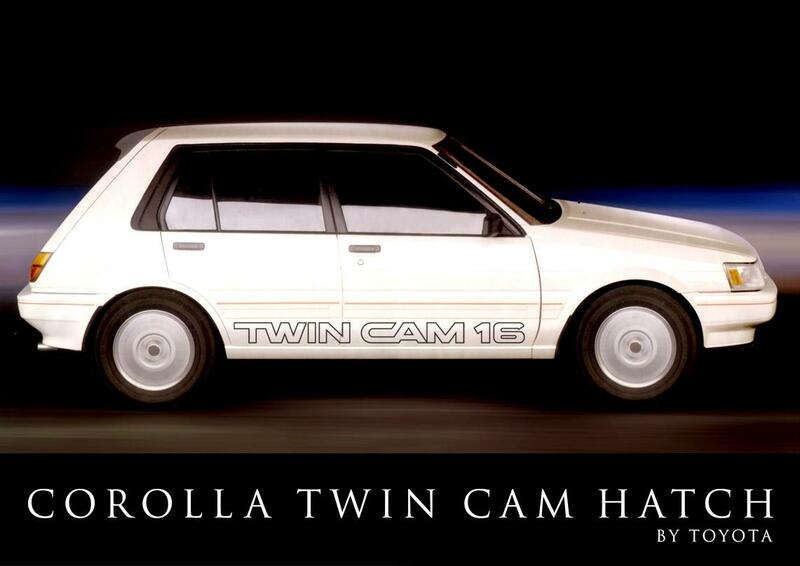 The Corolla Levin and Sprinter Trueno were sold in two separate dealership networks in Japan back in the 1980's, so the brochures are produced separately for the respective dealer networks. 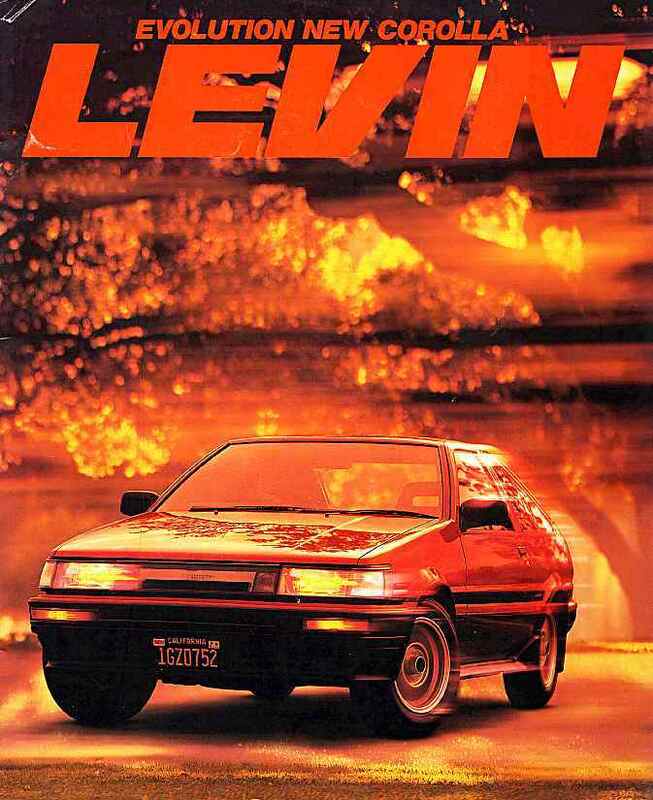 Interestingly, both the Levin and Trueno featured the same GT-APEX grade with varying degrees of decontented lower grades. 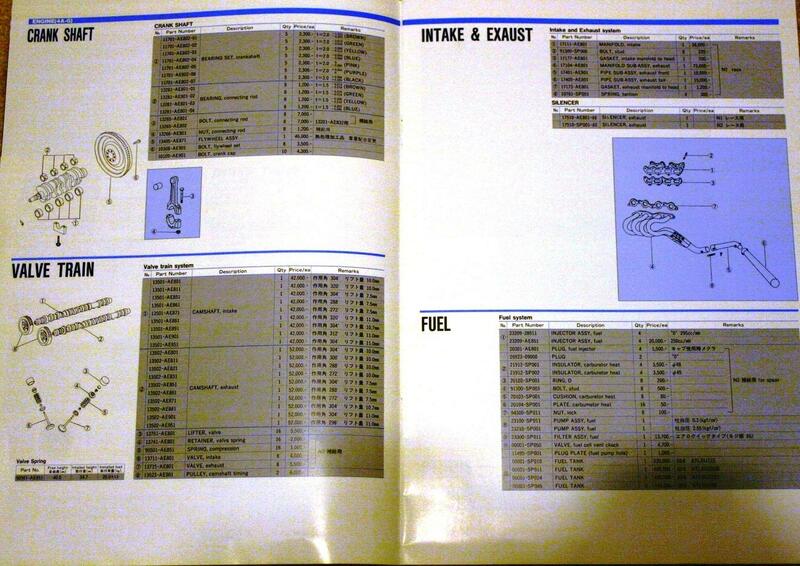 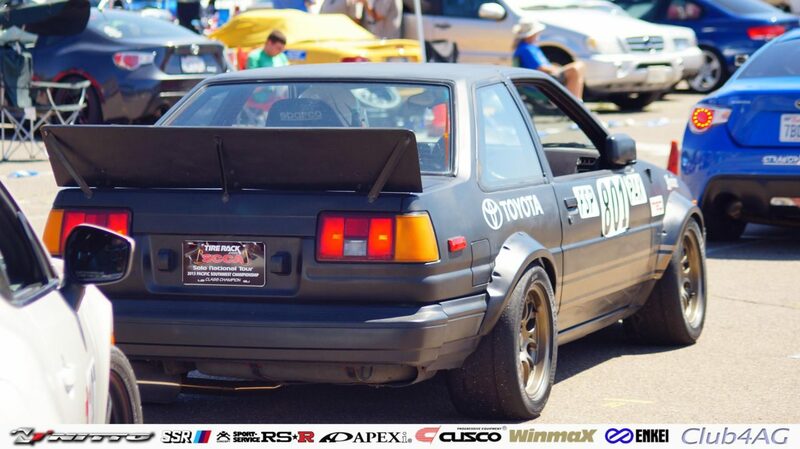 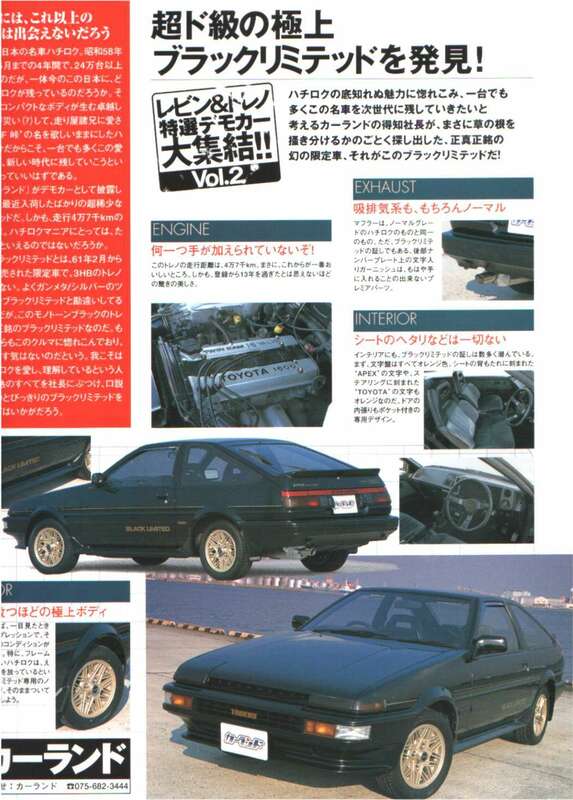 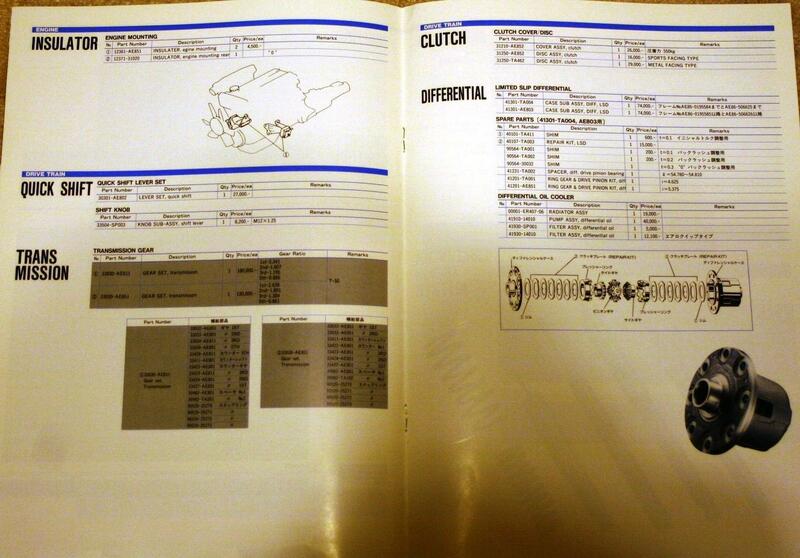 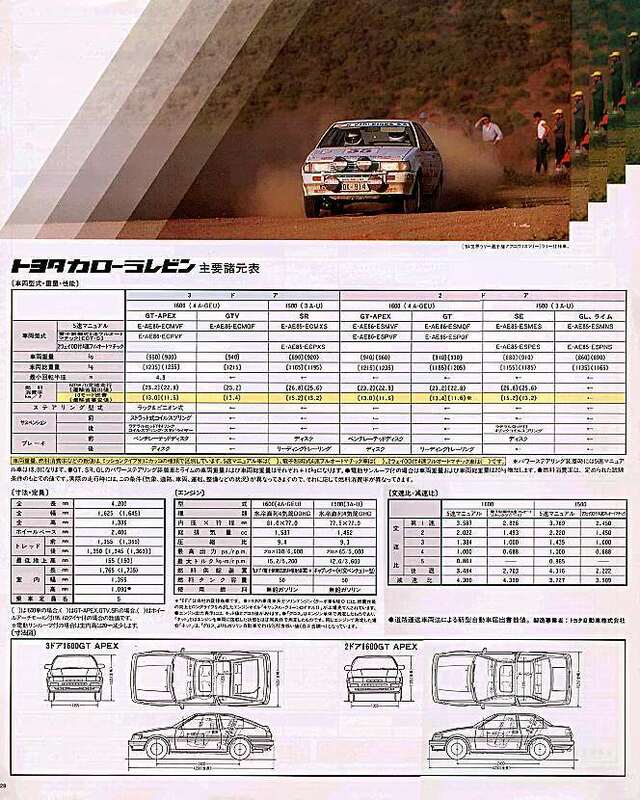 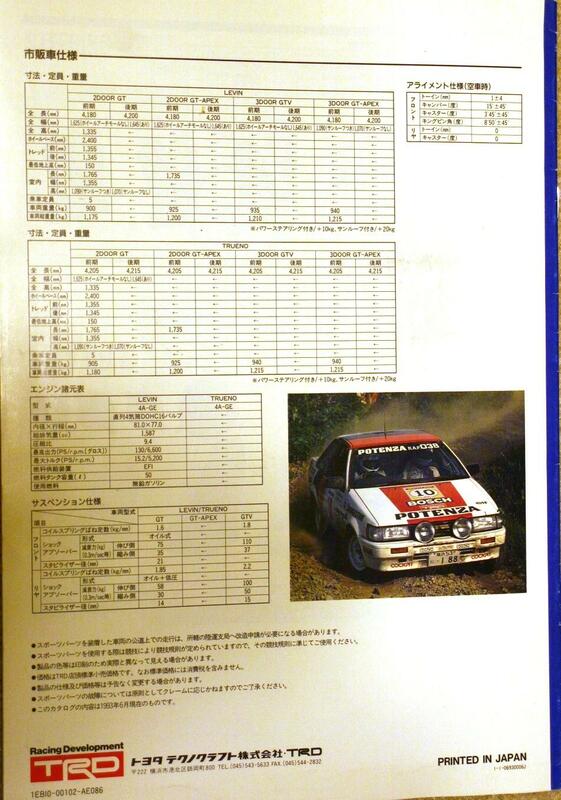 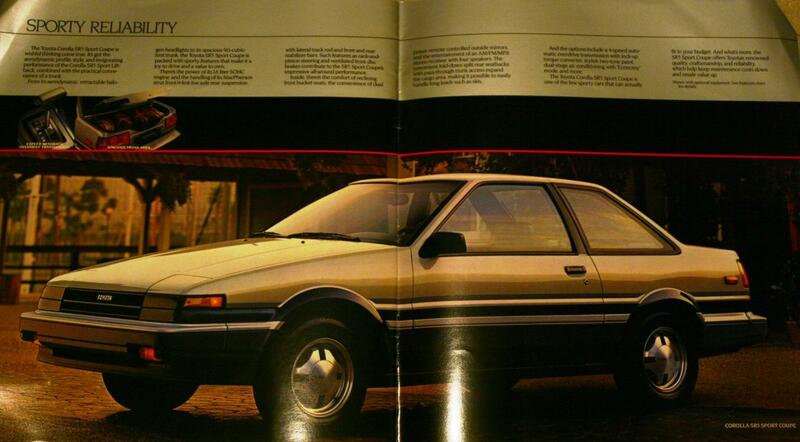 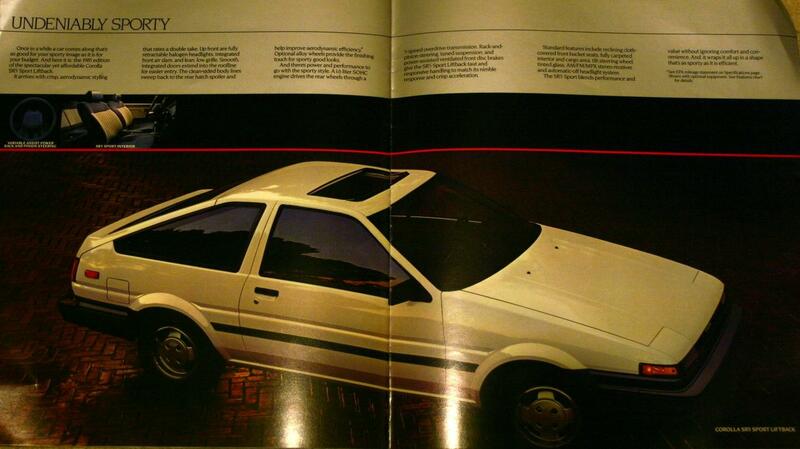 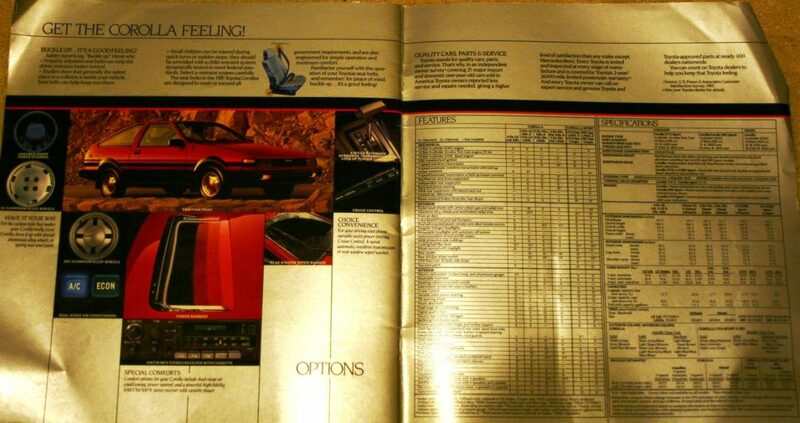 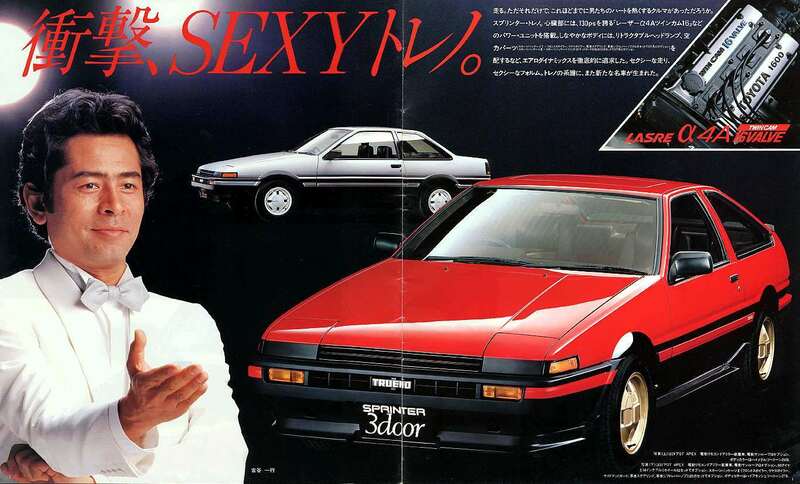 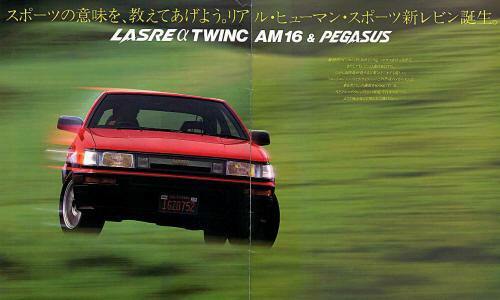 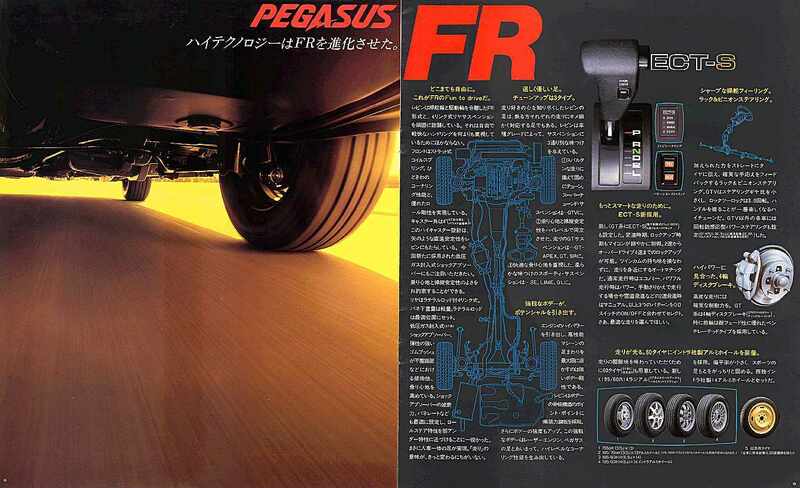 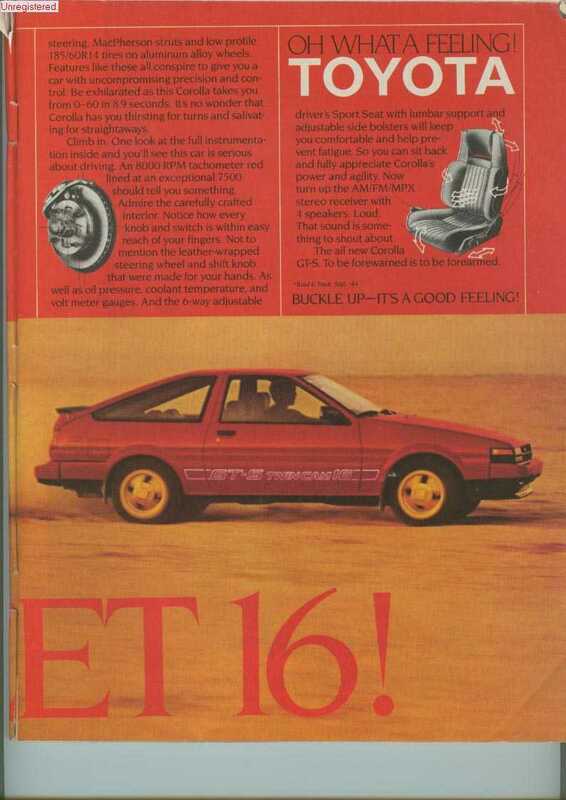 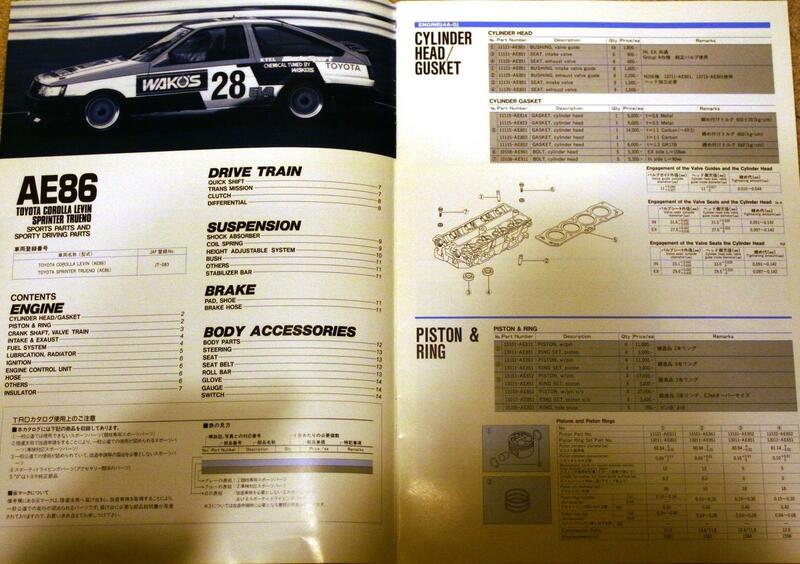 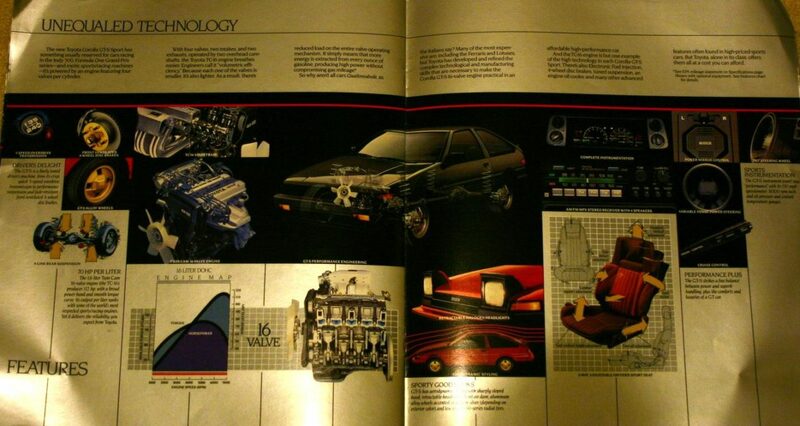 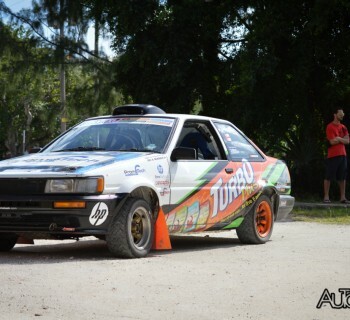 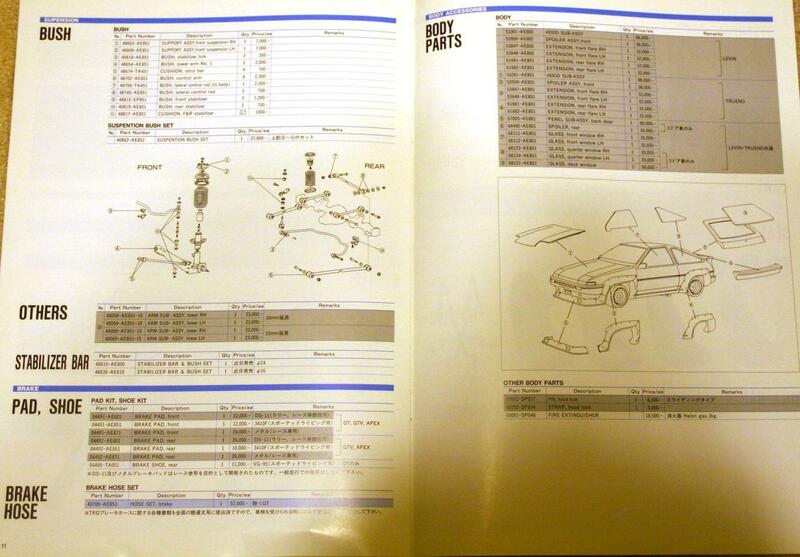 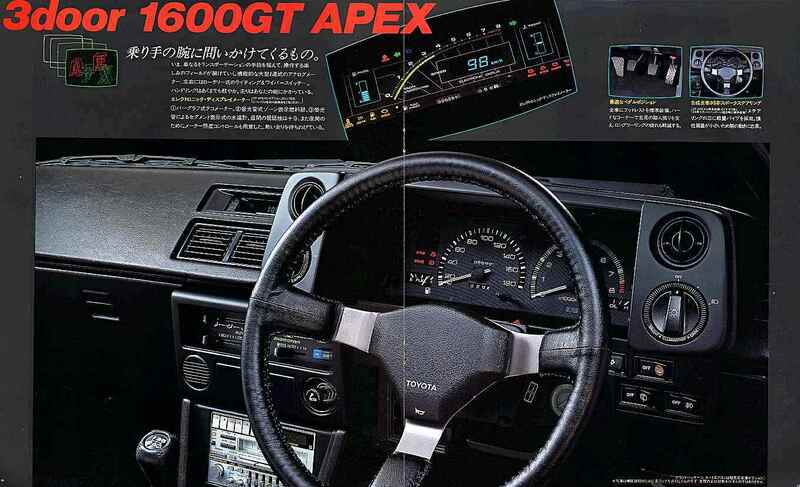 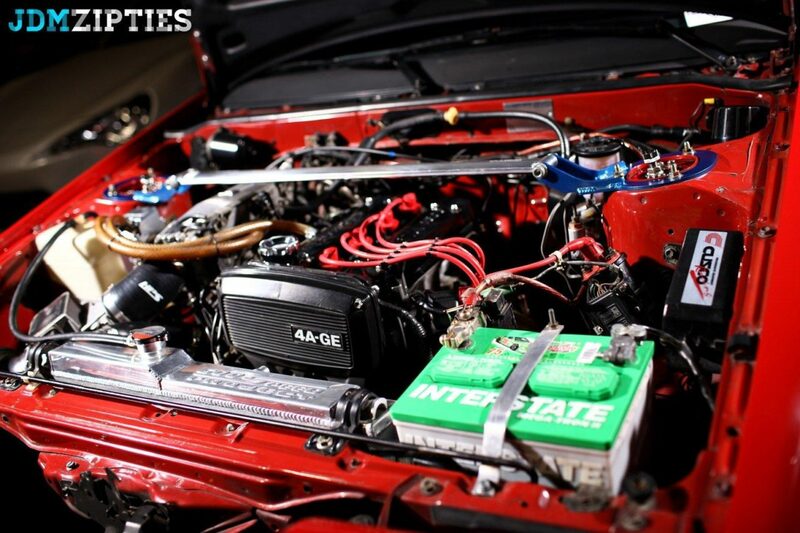 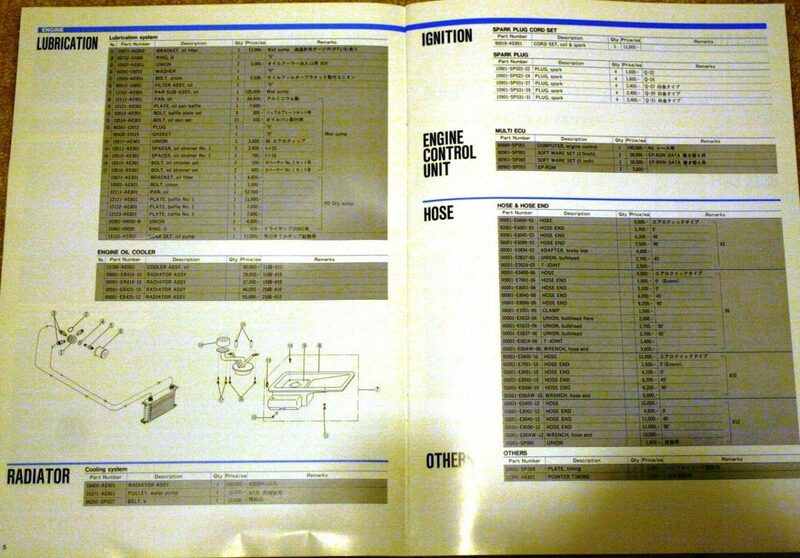 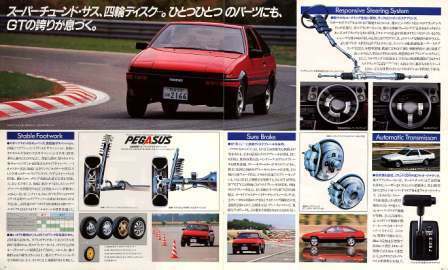 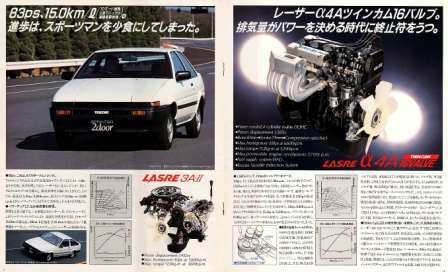 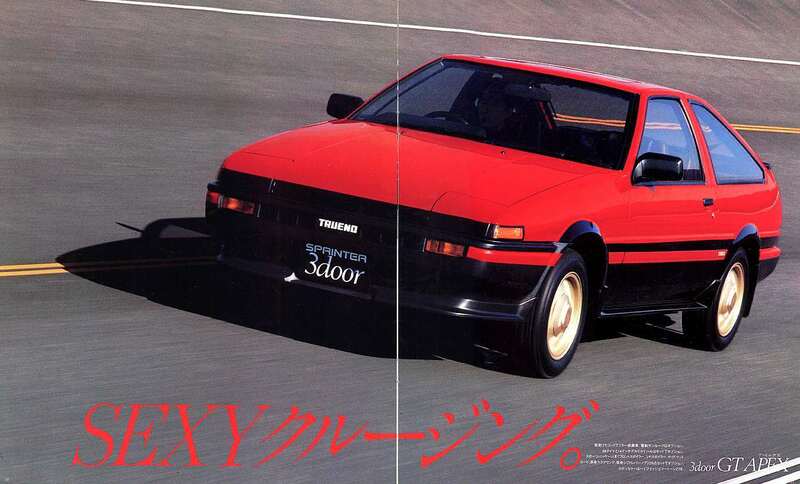 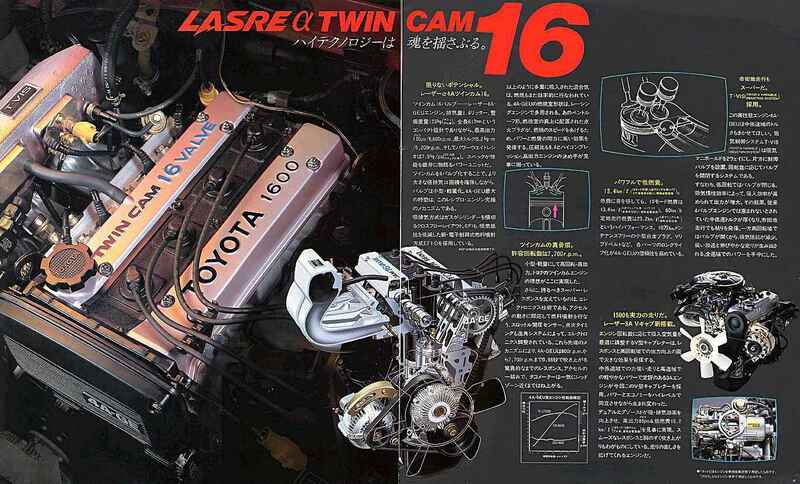 Note also that the Japanese cars also featured a female-targeted AE85 called the Levin Lime, and Trueno Lisse. 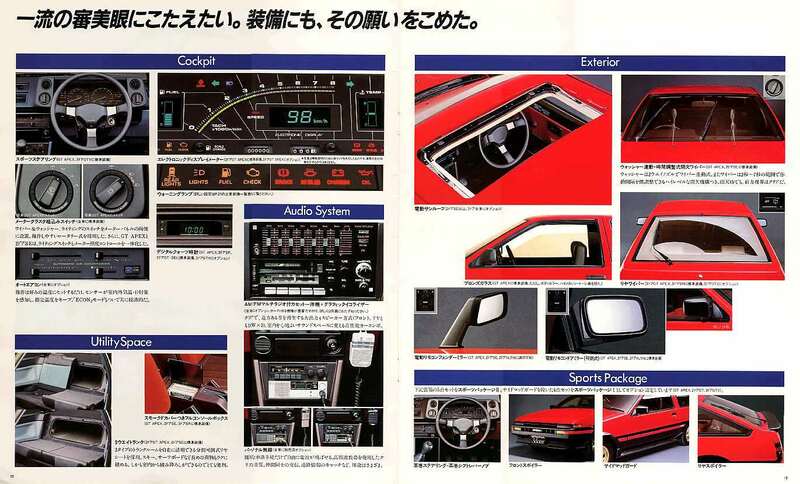 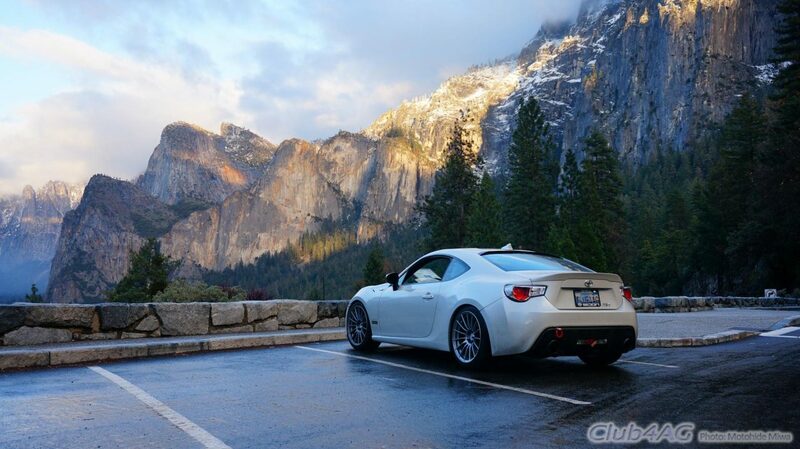 If you look closely at the accessories, you can also see interesting era-specific items like covered bumper fog lamps, CB-band radio, and digital LED gauge pod illumination.